Northern Tilth provides organic waste recycling technical services. Our goal is to increase the use of organic wastes as soil amendments while building the science of residuals recycling and soil fertility. Northern Tilth’s clients range from generators and processors of organic wastes, such as municipalities, solid waste agencies, paper mills, dairies and food processors, to recycling companies that focus on soil-based solutions, to farmers using organic matter-based by-products to improve soil health and fertility. Northern Tilth’s services range from developing manure management plans for livestock operations to feasibility studies for organic waste collection and processing operations to research, development and initiation of recycling programs for organic wastes that have not historically been recycled. 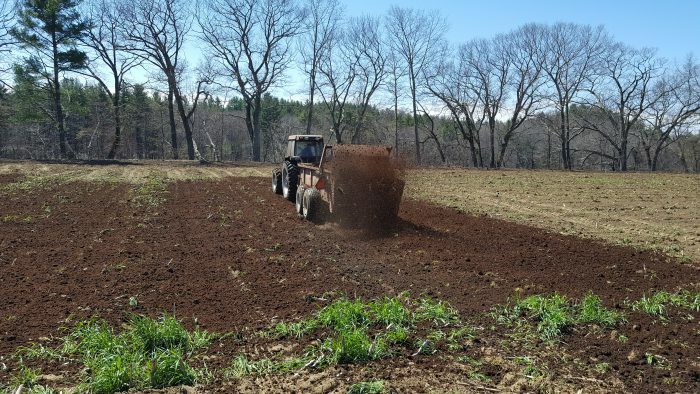 Northern Tilth specializes in working with complex regulatory issues related to soil-based recycling, such as determining nutrient-balanced soil blending recipes, assessing potential contaminants in soils, and improving overall soil health through recycling programs. Our focus is on moving projects from the idea stage to the field. Northern Tilth also provides services related to the impacts of recycling on climate change including carbon accounting for organic waste recycling projects.